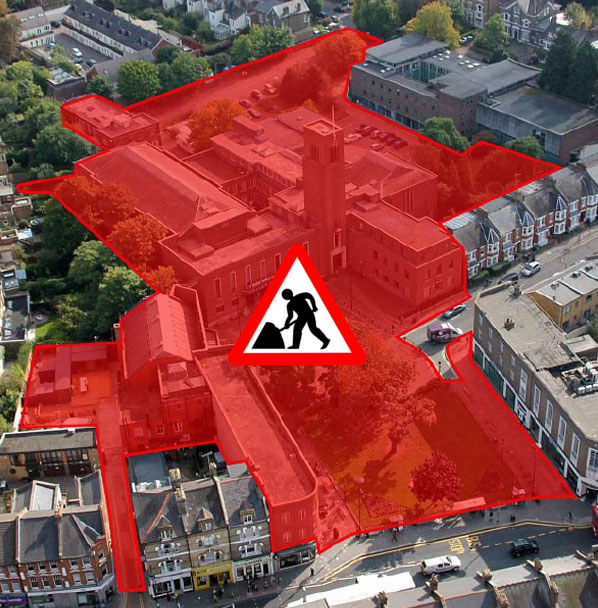 Crouch End under construction – and how do you comment on a planning application? 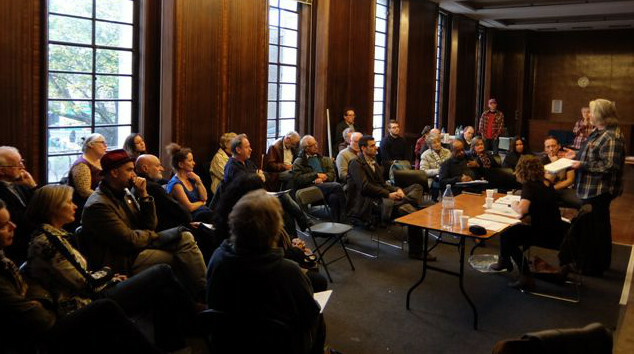 Wondering how to comment on the Hornsey Town Hall development…? It’s a property Klondike out there. Build it high and sell it cheap (ah… well one out of two). But the main event for the average Crouch Ender is, naturellement, the long-awaited re-development of Hornsey Town Hall. Bringing you a full scale restoration of a listed thirties classic (though a few doubts are creeping in), 7 storey blocks of flats – 146 units in total (luxury), a world class arts centre (or village hall, I can’t tell), more pavement cafés than Boulevard Saint-Germain, and a 4 star boutique hotel – no wait, apart-hotel, – no wait, well, a hotel of some kind… it’s like Christmas. Slight levity aside, what is of real interest are the plans set out in the application to the local planning authority (we announced the submission of planning here) – and the public consultation is now open. 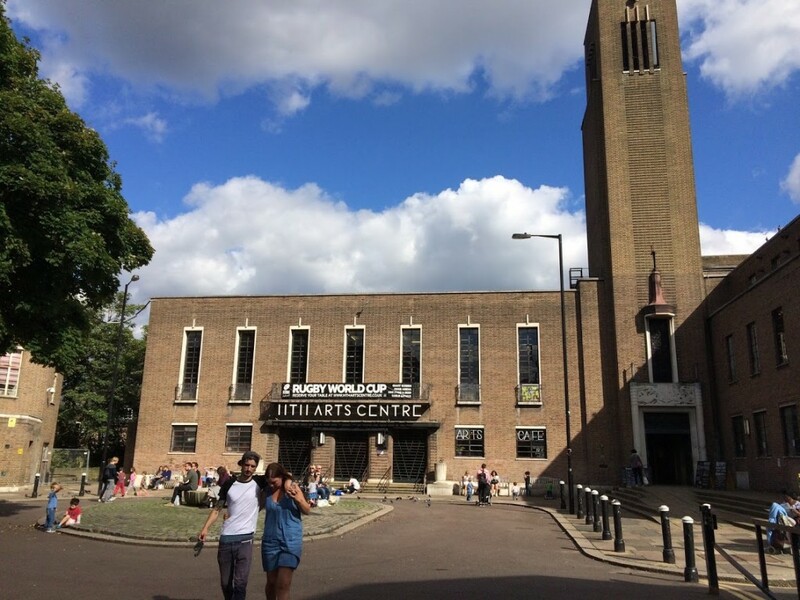 The period for consultation on the Hornsey Town Hall application has been extended due to the holiday season and the high level of local interest. It now closes on September 26th. NB: each entry has identical paperwork, and Haringey have asked that comments should ideally be lodged under the main /2220 application. The case officer is James Hughes who is happy to respond to anyone having issues with comments or technical concerns. A brief summary then… but don’t feel limited by the following list. Guidance on commenting upon applications is available from Haringey (their handy guide is here), with further info on the Planning Portal here. You may also want to explore the comments already posted – they appear at the bottom of the list of documents on the planning website. The Forum will be fully engaged with the process, and will be posting discussion about the scheme here before formulating a response. We are very aware of a range of concerns already expressed on social media and the local press, from the height and density of the new-build, doubts over the restoration, the paucity of detail for the arts centre and the hotel, the loss of local business space, to the low targets for affordable housing. Hopefully we’ll find the positive too in a scheme that holds out the promise to lift the Town Hall from the at-risk register and revivify a key element of Crouch End’s town centre. Don’t hesitate to let us know your thoughts, yea or nay (but don’t forget to let Haringey know too). I have just written to Emma Williamson in Planning …. Many thanks for the email and for the good news that the consultation period is to be extended. I’m sorry that it has taken a while to respond but I’m sure you will appreciated the challenges of trying to talk to colleagues during the holiday period. We were interested to note that further information is being sought and grateful that you will let us know as soon as it is submitted to allow re-consultation. Would you be able to give an assurance that all of it, especially the viability information, will not be presented in a redacted form but will be fully open to inspection? Your offer to meet officers to go through information is also welcome – could you outline how you see this working: the Neighbourhood Forum is discussing how we can enable residents, amenity and arts groups to respond to the application and any support you could offer would be appreciated. Finally, could you please tell the Forum who you have engaged to asses the EVA? There is concern that the property price comparators cited in the document do not reflect the prices being achieved in the centre of Crouch End.